When the ongoing Marakkech International Film Festival celebrated 100 years of Indian cinema, Bollywood stars took to the red carpet to grace the event. Shah Rukh Khan was felicitated for his work in Bollywood by Morocco's Prince Moulay Rachid. Later, Khan was spotted chatting with Italian actress Monica Bellucci during the royal dinner. 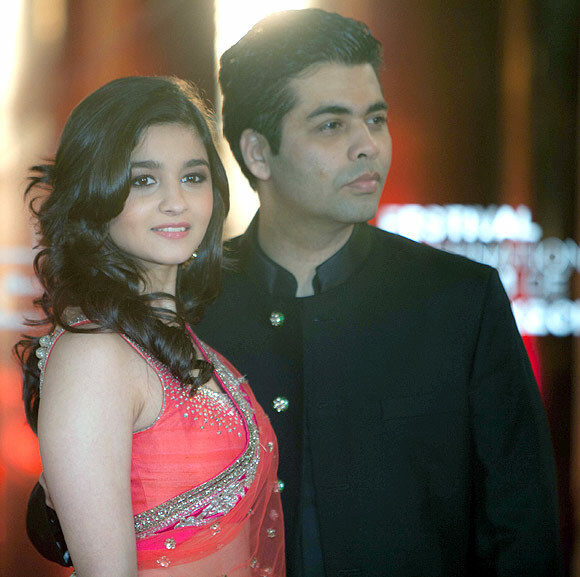 Filmmaker Karan Johar walked the red carpet with his Student Of The Year leading lady Alia Bhatt. 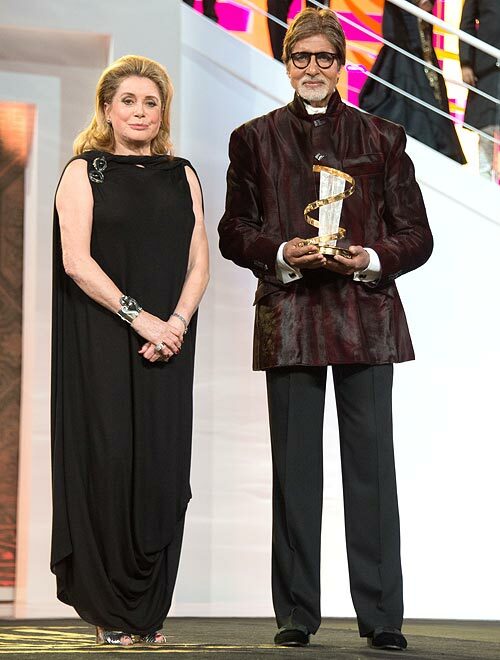 Amitabh Bachchan, whose film The Indian Family was screened at the festival, received the lifetime achievement award by French actress Catherine Deneuve. Also present at the festival were Student Of The Year debutants Varun Dhawan and Siddharth Malhotra, who looked dapper in their red carpet outfits. 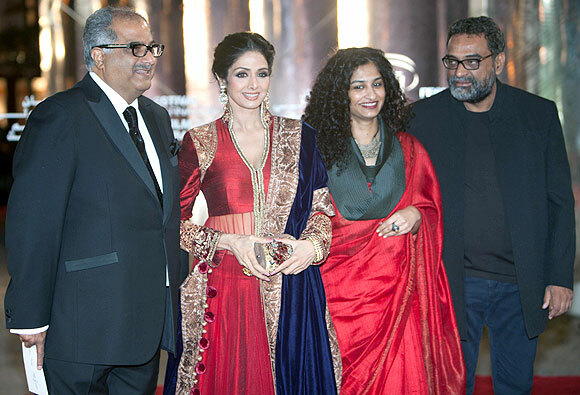 Dressed in Indian finery, the English Vinglish ladies -- actress Sridevi and director Gauri Shinde -- were present with their better halves, film producer Boney Kapoor and director R Balki respectively. Hrithik Roshan and his wife Sussanne were quite the headturners on the red carpet. Hrithik's films Kabhi Khushi Kabhie Gham and Agneepath will be screened at the festival. Malaika Arora Khan brought the quintessential Bollywood glamour to the do with dazzling performances on her hit songs Chaiyya chaiyya and Munni badnam hui from the films Dil Se and Dabangg respectively. Arjun Rampal, who turned 40 recently, was caught in a candid moment with wife Mehr Jesia, as they made their red carpet appearance. The Big B poses with his lifetime achievement award as actress Catherine Deneuve looks on.